So I must admit for 2-3 years my fiancé and I have stuck to a pescatarian diet, but in the past few months we have dibbled and dabbled with meat. Reasons behind this have nothing really to do with missing meat, but more to do with budgeting. I just don’t get it; healthier foods are soooo expensive yet it’s damn near free for the most unhealthiest foods. I could go into my conspiracy theory but I’ll save that for a later post. 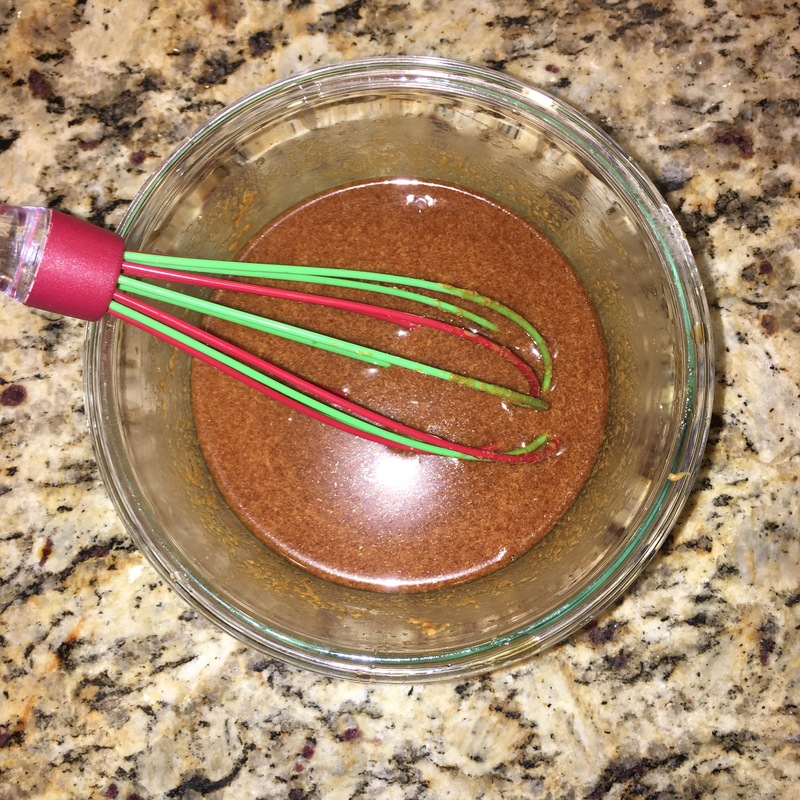 This post is about a new recipe I tried that I found on one of my favorite apps, Pinterest. Despite relapsing to occasional meat dishes – mainly when eating out- we still include tofu and other vegan or vegetarian foods on the grocery list. We had tofu sitting in the fridge lastnight but I wasn’t sure how I wanted to cook it. I ventured onto Pinterest and found this original recipe created by Kalyn’s Kitchen. I figured we would try it out and see how it was; then share with you guys and give it my rating. There were a few variations made so I’ll put what was originally suggested as well. 1. Drain the tofu. Most people skip this step. 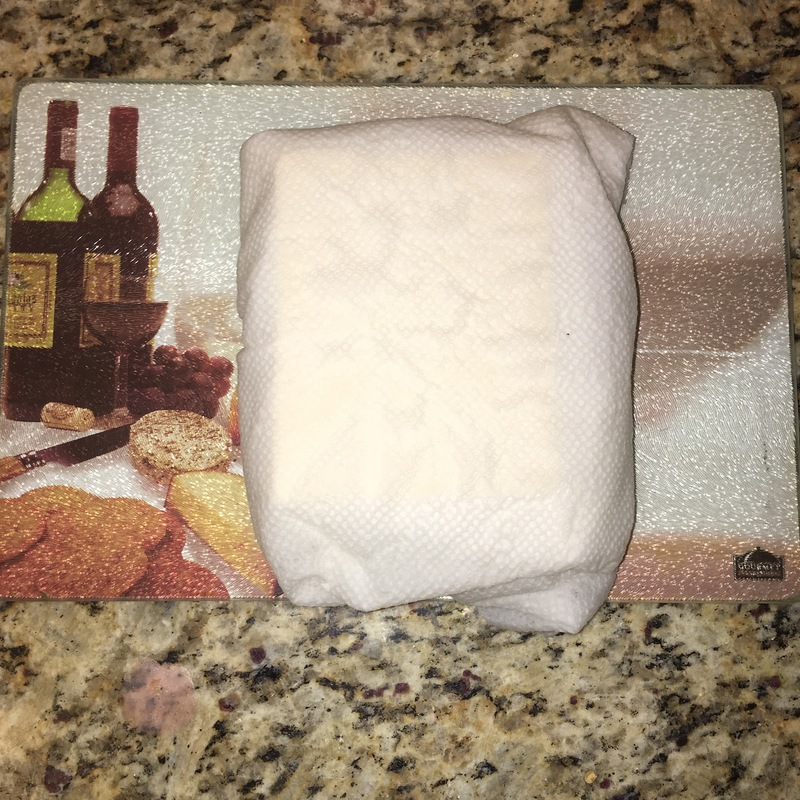 I double layer my tofu with paper towels and then sit something like a stack of plates on it to help drain the excess moisture. 2. 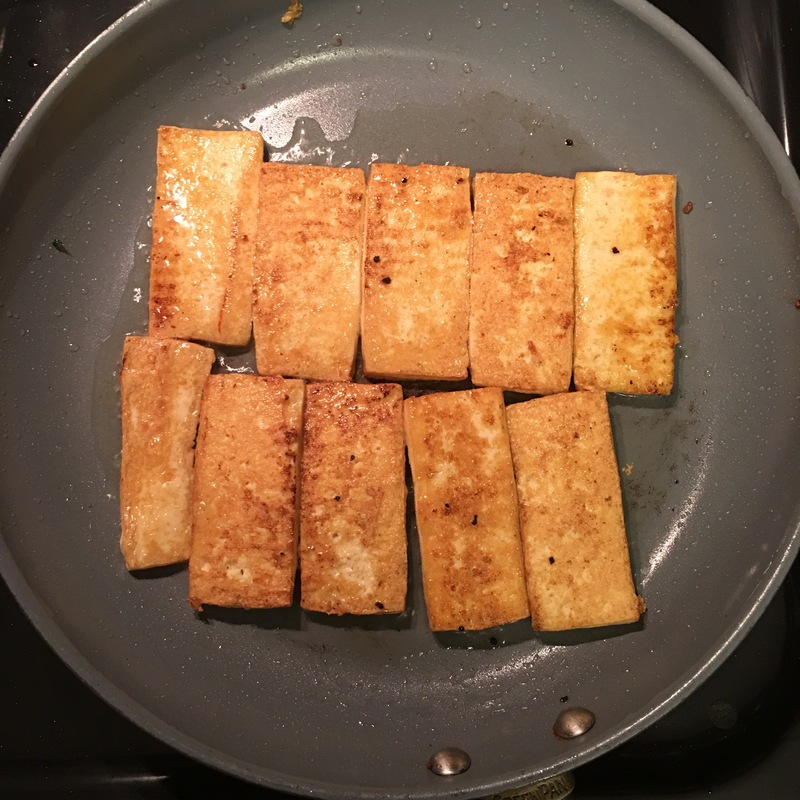 Slice the tofu in thick strips. 3. Combine and whisk all the sauce ingredients then set aside. 4. Add olive oil to heavy pan (org. Recipe used wok). First sauté the garlic and ginger to season the oil. Remove garlic and ginger pieces and add the tofu. Brown on each side about 7 minutes. 6. Plate and enjoy! We paired ours with rice and Sautéed kale. 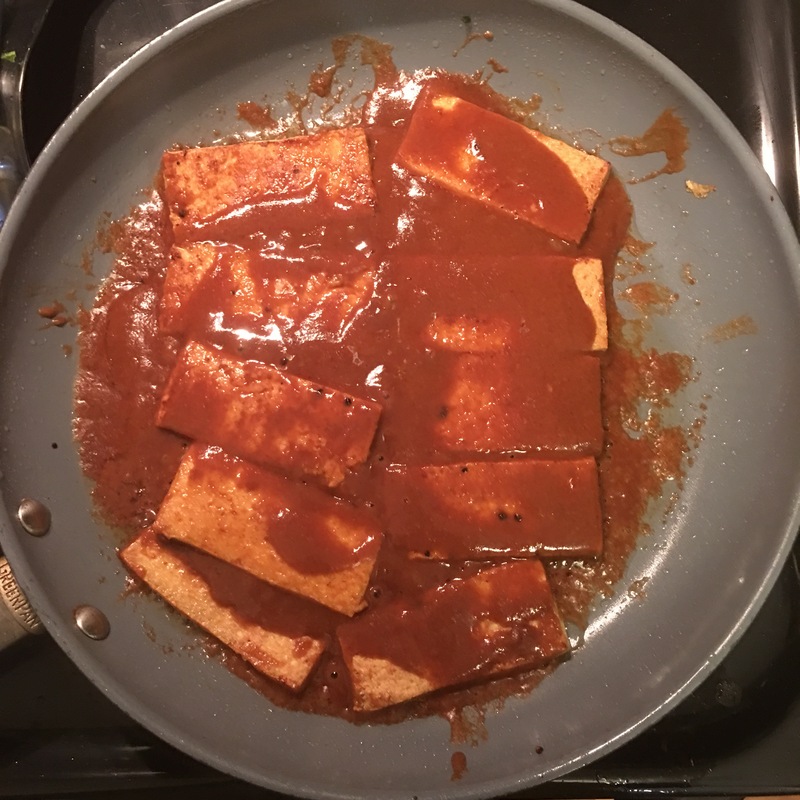 Note: the original recipe recommends plating the tofu right before the sauce begins to simmer. This I didn’t do because I was still cooking the side items. The sauce ended up thickening but was still absolutely delicious. I give this 4 stars! I will definitely make again and ensure my side items are already ready so immediately after adding sauce I can plate it and have the sauce still have a runny consistency. Update July 7th: I redid the recipe and it was more of a success when I followed the aforementioned note above. I made all my sides and then did the tofu last. Right before the sauce began to simmer I plated it and it was perfect. I give it a 5! 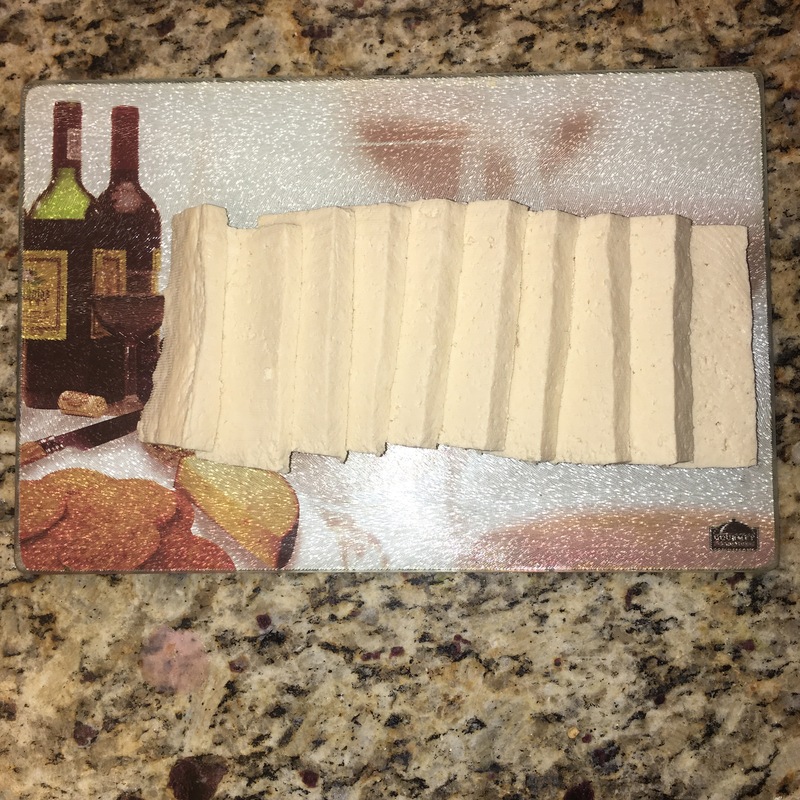 I also cut the tofu in smaller pieces. How many of you eat tofu? Any great recipes to share? Yes and you can get most all the sauce ingredients on the Asian or international isle. 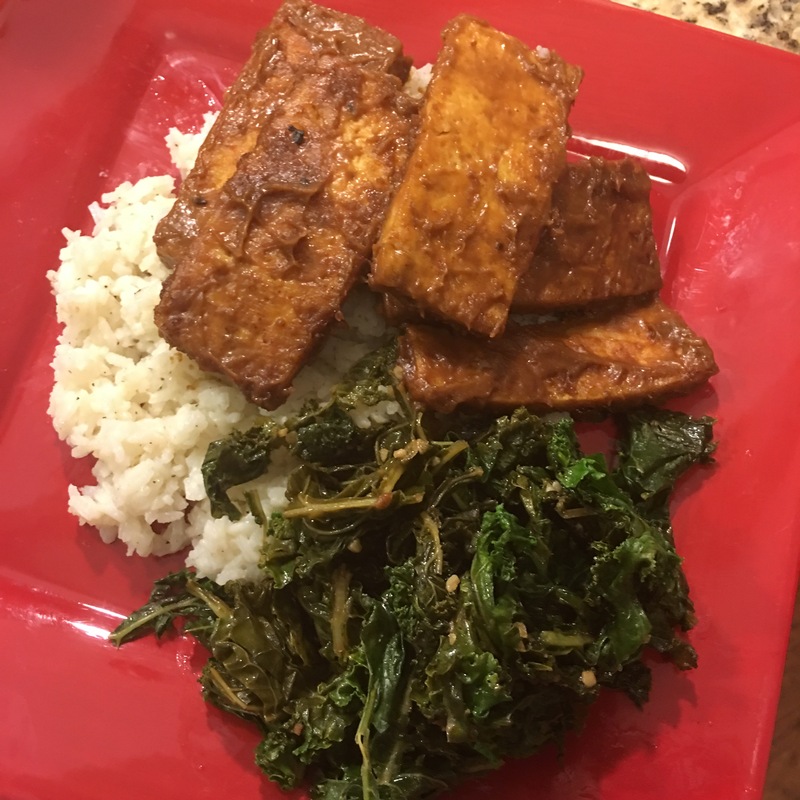 What are the two recipes you like when you cook tofu? 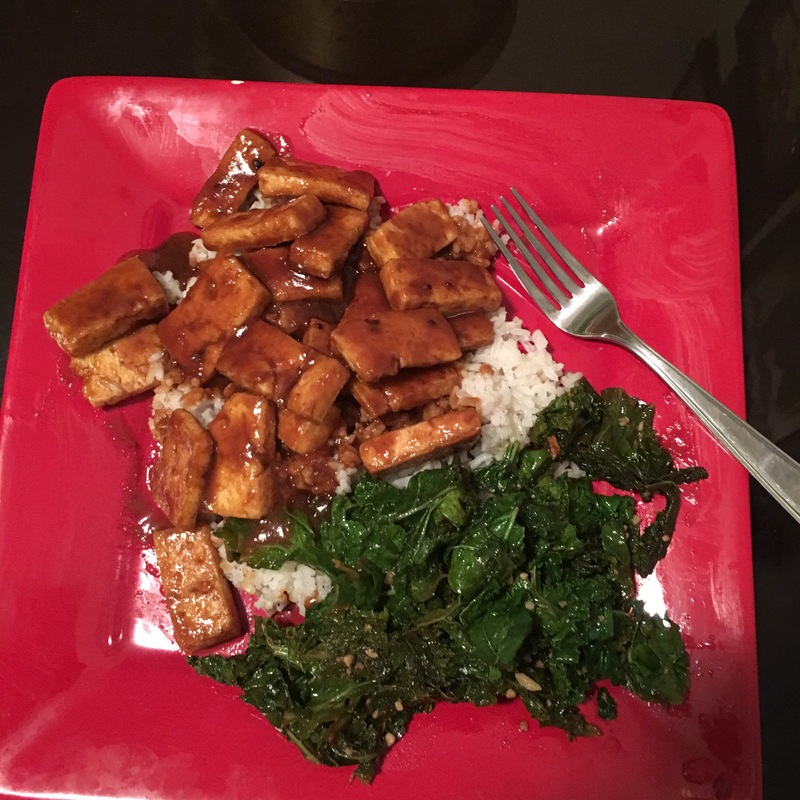 I love tofu in black bean sauce! Just a spoonful of black bean paste, spring onions and some water. Serve with rice noodles. And the other one is just soy tofu- marinate tofu in soy sauce with a bit of chilli and a bit of honey, again with noodles and stir fry veg. Wow ! As much as I eat it I’ve never done this! I’m going to try both. Thanks !